Definitely on a trip to the Cusco region you have to visit the Inca citadel of Machu Picchu and for this reason we find different ways to get there, from one day tours, to several days long walks to reach the magical citadel, since the decade of the 70 routes and trekking circuits have been added that have expanded the possibilities to reach the Historic Sanctuary. There is the popular, acclaimed and more frequent Inca Trail, thanks to its popularity the administration in charge of this ancestral road had to establish certain rules, which only allow the access of 500 people per day, all of them with guides and porters, and You must book with months in advance. 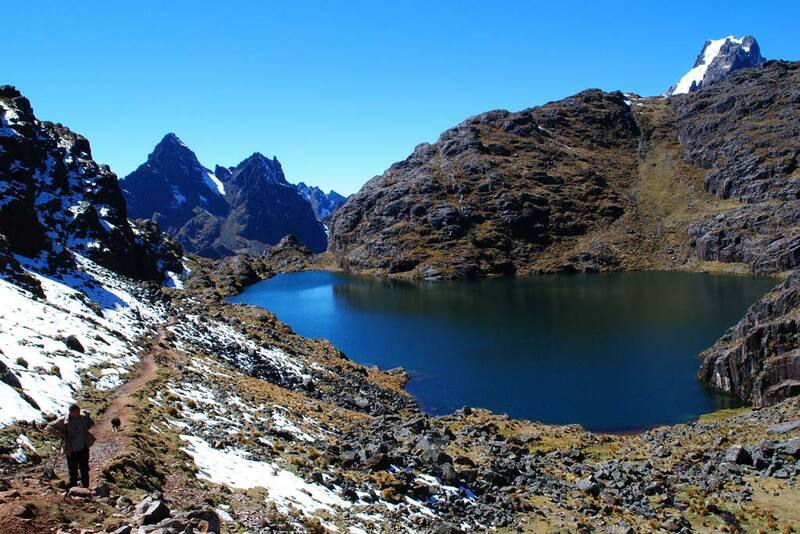 There are also alternative walks such: Salkantay Trek, Inca Jungle Tour, Lares Trek, among the best known. We will learn a little more about the second most frequented hikes such lares trek and Salkantay trek. It is an old and adventurous alternative path to the Inca Trail, it has spectacular views and diverse ecological floors; we will walk among lagoons, impressive snow-capped mountains such Salkantay and Humantay, crossing rivers and subtropical zones full of flora and fauna. This road is an excellent option for those who want to get out of the routine and venture in a fun, friendly and above all a cozy group life. These treks passes under the magnificent snowy Salkantay (6,710 m / 22,014 ft), one of the highest and most impressive of the Peruvian Andes. There are many paths that lead to the wonderful Inca city of Machu Picchu, and one of the routes is the Lares trek, in which you will find landscapes of Andean mountains, snowy peaks and tropical jungle, the end of the road is crowned with the imposing view of the modern wonder Machu Picchu. During the days of walking from Lares to the Historic Sanctuary of Machu Picchu, the best high-Andean landscapes of the Sacred Valley are combined, including broken mountains, snow-covered peaks, lagoons and very colorful native peoples that still preserve their traditions and lifestyles. ancestors, in the same way you can learn a little of the typical flora and fauna of the region. During the route we will appreciate the Andean camelids as llama, alpacas, sheep, etc., on our way to Lares we will find small communities that will show us part of their culture and customs, where we will share our experiences with them. A tour that you can not miss in your visit to the beautiful Imperial City of Cusco, it will be an incredible experience in the best of the Andes. It is necessary to take into account that this walk is much more cultural than the others, because the walk from Lares to Machu Picchu is an excellent way to get to know the Andean landscape, with valleys, rivers, lagoons with crystal clear waters, waterfalls, forests of Queuña and especially know the way of life of the natives in the Andes, the walk through the Valley of Lares takes you truly to know remote places, a destination still unknown by many, a trip to the very heart of the Andes where few tourists They have ventured. This wonderful path takes you to see beautiful natural landscapes adorned with impressive glaciers, a totally different world from ours, an Andean paradise where the inhabitants of small villages still use old ways of life. To carry out Lares Trek or Salkantay Trek with the security, guarantee and kindness that you and yours deserve contact with VIVA PERU TOURS, a company dedicated to provide the best service in this Lares walk and all the others offered in our magical city, a company with all the professionalism to assist you at any time, quality service that you deserve. Many of our tourists who won´t have Inca Trail spots can choose to take alternative excursions to the Inca Trail such as Salkantay Trek Machupicchu 5 days 4 nightsInca Jungle Machupicchu 4 days 3 nights , Lares machupicchu 4 days 3 nights and many others. 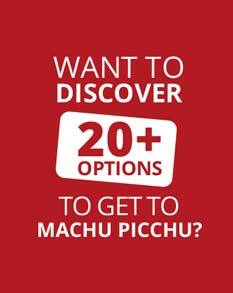 Most of the excursions almost all have the final destination Machupicchu. The average number of visits to these alternate routes are regular due to the high demand of the classic Inca trail. There are days when there are not many tourists and these alternative routes can be a good alternative for those who do not want many people during the excursion. Salkantay trek to Machu Picchu: Our Classic trip is the Inca trail alternated to the traditional Way, combining beautiful scenarios along the route. Lares Trek to Machupicchu: Ideal for those who wish to have a more direct contact with the latest Inkas heirs. Choquequirao 4d/3n: Inca Trail that leads us to the great Golden Cradle, Choquequirao “sister of Machupicchu”.